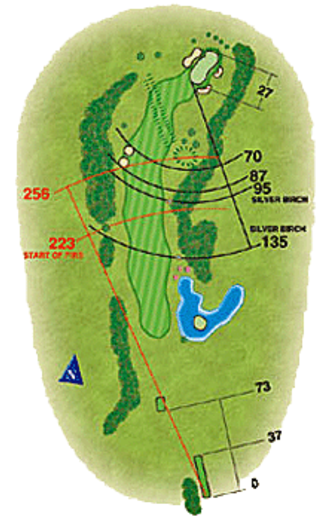 Similar in its design to the 3rd hole, Long hitters may wish to take on the two fairway bunkers and leave a short pitch to the green. The sensible play is to lay up short of the fairway bunker as this leaves a more inviting approach shot. A good birdie chance.